It was hardly the way he had anticipated his year coming to an end. In Game Five of Vancouver's second round playoff set against Nashville, Samuelsson fell to the ice while attempting to retrieve a loose puck. Twelve days later, on May 19, he underwent surgery for his adductor tendon and a sports hernia, sidelining him for the remainder of the post-season. The Canucks would ultimately lose the Stanley Cup in seven games to the Boston Bruins, furthering the disappointment for Samuelsson. But rather than bemoan his situation, the 34-year-old forward decided to use the summer months, spent in his native Sweden, to work tirelessly to get back in game shape for the upcoming season. What was going through his during his intense rehab sessions? That would be a very good thing for the Canucks as they will soon start their quest to bring the franchise its first championship. 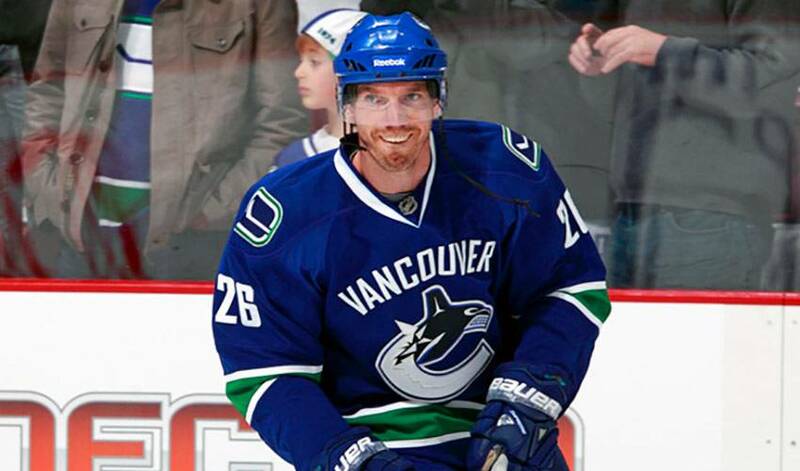 Samuelsson, who had stints with the Sharks, New York Rangers, Pittsburgh Penguins and Florida Panthers, returning to Europe during the 2004–05 NHL lockout, understands the disappointment of losing a hard-fought final, but he also believes Vancouver has the pieces in place to win it all. For his part, Samuelsson, who, after four campaigns with Red Wings, signed with the Canucks in 2009, is hoping to get off to quick start in 2011-12. So, it was only fitting on this day when he spoke withNHLPA.com, Samuelsson was at a hockey rink, but on this occasion, only as an interested observer. Is he on the fast track to being a better player than his father? “Not yet, but probably soon,” quipped Samuelsson. And who knows, perhaps the younger Samuelsson will one day skate in NHL arenas, something Mikael didn't always figure on. He'd be that much happier if Vancouver made 2011-12 the most memorable one in Canucks' history. Including Mikael Samuelsson, whose summer of hard work could net him his most prosperous season yet.